This Opal crystal meditation is great for mood swings. Last time, I discussed the benefits of Opal, October’s birthstone. I shared why I and other Crystal Therapists love Opal as a healing stone for the chakras and aura. • Assists in the process of releasing deep-seated fears. • Reflects the mood of the wearer. • Soothes and clears the physical, mental and emotional bodies. • Helps to balance mood swings. Here is the short crystal meditation promised the other day. 2. Visualize a bright shiny multi-colored highly vibrational Opal before you. Feel the pulsating healing energy that it emits. 3. Fill your lungs completely with this healing Opal energy. 4. Bring this Opal infused energy into your lungs. 5. Feel it in your front heart space. 6. Visualize opening a small window to your heart center and allow more Opal energies to gently pour through you and fill and expand your aura. 7. Allow it to seal any cracks or repair and holes that may be in your aura. 8. Continue to expand this Opal infused energy in your energy field until you feel full. 9. Go to the back of your heart center and open another small window there. 10. 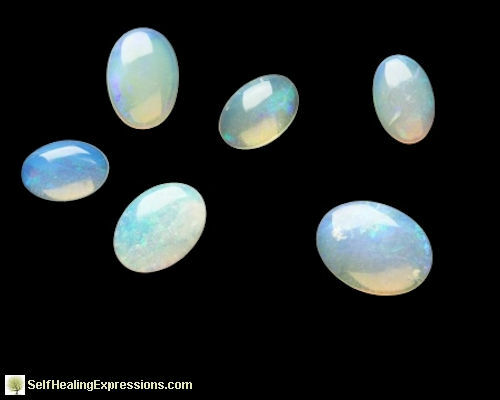 Again, allow these sweet Opal energies to gently fill the back of your auric field and allow these energies to gently pour through you and fill and expand your aura. 11. Feel how huge, soft, and comfortable your aura becomes. It scintillates healing Opal energy. 12. Now gently close your front heart center’s window, then the back heart center’s window. Knowing you are full and complete with this new sense of self and scintillating Opal energy. 13. Rest and enjoy your new sense of Opal auric fullness and light. © Margaret Loris, crystal therapist and author/instructor of Crystals for Healing: Crystal Therapy in Multi Dimensions. This entry was posted in Crystals for Healing and tagged crystal meditation by June Cook. Bookmark the permalink.